JoJo Smith, known as “The King of New York” for his extensive contributions to Broadway and the dance industry, has died. He was 80. Smith, who died from complications resulting from a major stroke suffered late last year, had been credited with giving some of Hollywood’s most notable dancers their rhythm. With a career spanning over six decades, Smith’s credits include eight Broadway shows, hit TV shows, feature films and major domestic and international tours (including West Side Story). He was a trendsetter and socialite whose students included Debbie Allen, John Travolta and Barbara Streisand. 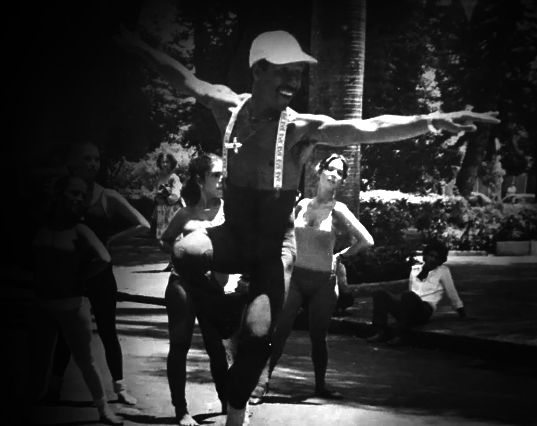 “JoJo Smith was a giant on the international dance scene. His technique defined The Wave. He staged the biggest musical acts and TV specials that gained him national prominence. I was so lucky to train with him and be nurtured by him. We will ever be grateful to have known his genius and generosity,” says Debbie Allen, a former student. Even with high-profile friends like Eartha Kitt and students like Barbara Streisand, Sylvie Vartan, Barbara Walters and Diane Von Furstenburg, Smith was best known as dance consultant for box office smash hit musical Saturday Night Fever (John Travolta). He will also be remembered as the founder of Jo Jo’s Dance Factory (currently Broadway Dance Center) with then-wife Sue Samuels. Broadway Dance Center is one of the largest “drop-in” dance training centers in the world. Smith’s unique style has influenced generations of greatest dancers and entertainers all over the world, including the late great Michael Jackson. “My father was an exceptional dancer, musician that created a new style of jazz dancing. His unique personality and musicality are the fabric of his choreography and his contagious energy. A true classic and a legend. I will miss our hangs, but I am forever inspired by the man that brought me here,” says tap dancer Jason Samuels Smith, an Emmy Award winner. Born July 20, 1938 to dancers Anna Margaret Grayson and Joseph Benjamin Smith (influential to the careers of the famous Nicholas Brothers), Smith is survived by children Michael Smith, Monica Richard Smith, Elka Samuels Smith, Jason Samuels Smith and Rocky Smith.